Take your cheese and cracker spread to the next level with this Old Fashioned Cheese 10 lb. 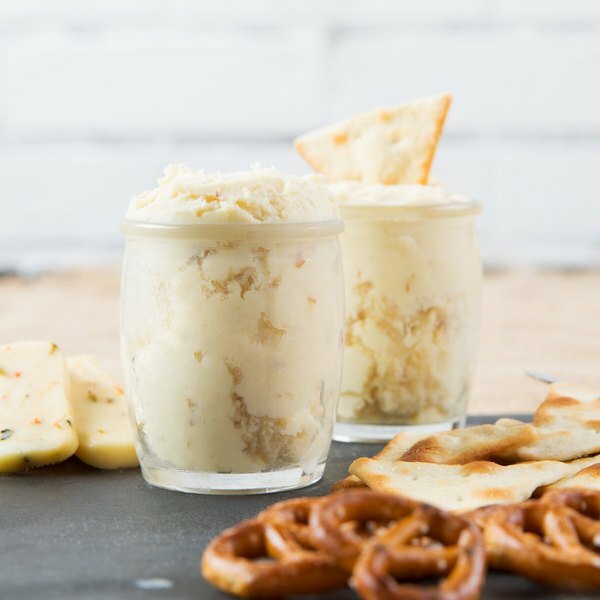 tub Swiss almond cheese spread. This cheese features a sweet, nutty, buttery flavor with an ultra-creamy consistency and real, thinly slivered almonds. Ideal for any entertaining occasion, scoop this cheese spread into dishes and present as a centerpiece on your serving tray or charcuterie board with artisan crackers and dried fruit. You can also use to create cheese balls, rolled in almonds that is sure to be an eye-catching addition to any buffet. With its consistent, velvety-smooth texture, this cold pack cheese spread provides easy spreadability over a variety of foods. 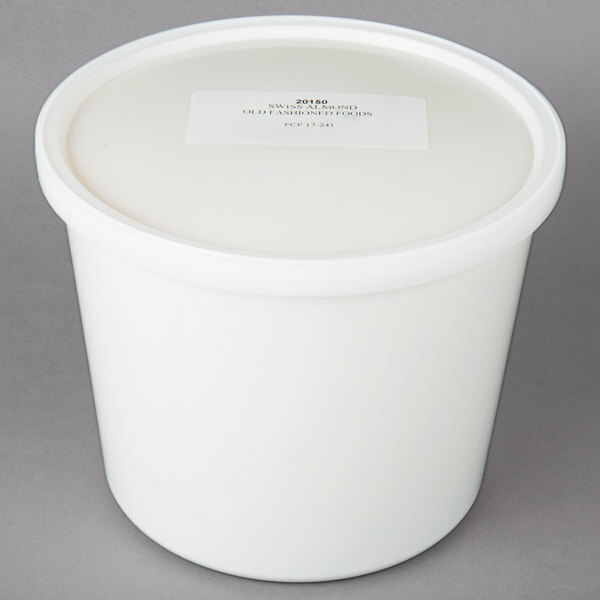 Its plastic container has a resealable plastic lid to keep it fresh in refrigerated storage. Plus, the bulk 10 lb. container ensures you will be in good supply of this popular flavored spreadable cheese for your high-volume events! Since 1979, Old Fashioned Cheese grew from a local cheese producer into a national supplier of a constantly expanding variety of high quality cheese products. Located in Mayville, Wisconsin, the heart of cheese country, their passion for great-tasting, wholesome products made the old-fashioned way remains the core of their success. Bring the superior, old-fashioned quality of Old Fashioned Cheese to your establishment and taste the difference.